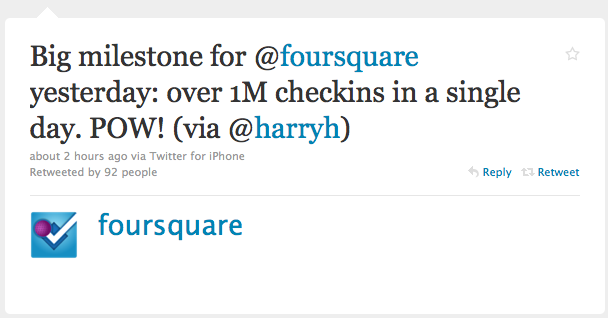 Foursquare is enjoying huge growth and getting a lot of good press as of late. Just days after securing $20 million series B round of capital, the location service has announced another big milestone – 1 million check-ins in one day. 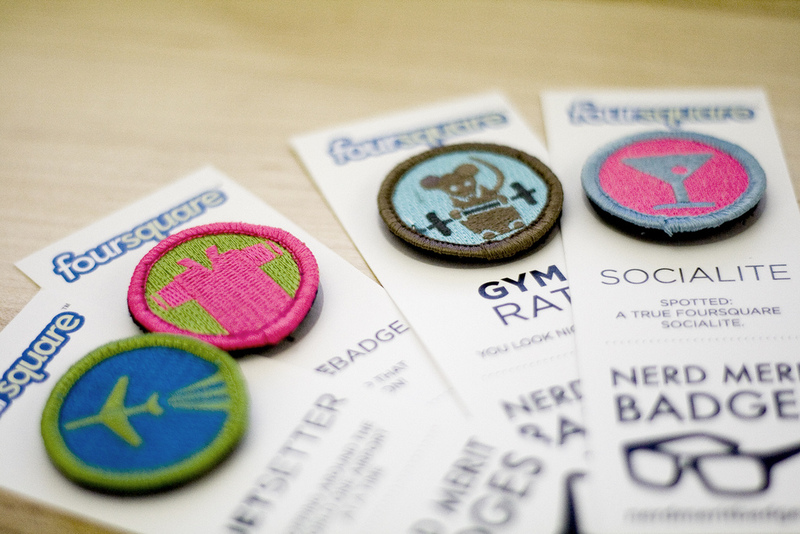 As Foursquare continues to close deals with massive brands such as Starbucks, Domino’s, Pepsi and even Jimmy Choo, the service is beginning to see adoption from less tech-savvy users, who are enjoying playing the “location game” and benefitting from discounts in the process. Many said location services would never catch on, today’s announcement conclusively reinforces they are here to stay.